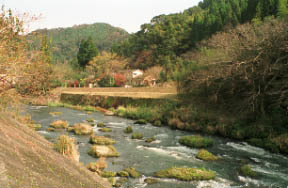 The hot spring which springs to the SHINKAWA ravine hot-spring village and the neighborhood an Amori river and Nakatsugawa flow together. 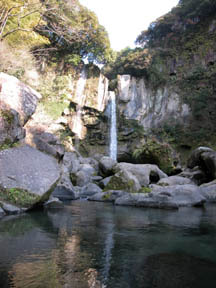 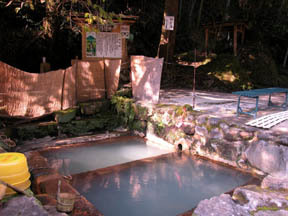 When it goes up Nakatsugawa from a myoken, the natural spring of individual possession is "hot water in Wake." 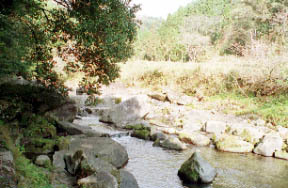 The promenade of the effect of the quiet flow of Nakatsugawa, and an old road. 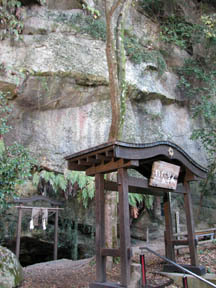 If there are not "a Kumaso's hole" that indigenous people lived, and a light, the cave of abysmal darkness and inside will be called area of about 100 mats.